Jack, 73, was named “Golfer of the Century” or “Golfer of the Millennium” by almost every major golf publication in the world. He was also named Individual Male Athlete of the Century by Sports Illustrated, and one of the 10 Greatest Athletes of the Century by ESPN. In November 2005, the Golden Bear was honored by President Bush at the White House with the Presidential Medal of Freedom, the highest honor given to any U.S. civilian. A few weeks later, he was unanimously named by GolfWorld Magazine as its Newsmaker of the Year 2005, punctuating a year in which he played his final British Open, his final Masters Tournament, and led the United States to a thrilling victory in The Presidents Cup. Jack’s competitive career spanned five decades, and his legend has been built with 118 professional tournament victories worldwide and a record 18 professional major-championship titles (six Masters, five PGA Championships, four U.S. Opens, three British Opens). He is one of only five golfers—Gene Sarazen, Ben Hogan, Gary Player, and Tiger Woods the others—who have won all four of golf’s modern majors, an achievement often referred to as the career “Grand Slam.” Jack remains the only player to have completed the career Grand Slam on both the regular and senior tours. His eight majors on the senior circuit, now called the Champions Tour, remains a record. The legacy Jack has left as a player can be rivaled only by the legacy he is leaving as a golf-course designer, businessman and philanthropist. Jack was named GolfWorld’s Architect of the Year in 1993, and in 1999, Golf Digest named him the world’s leading active designer. In February 2005, the Golf Course Superintendents Association of America recognized Jack with its highest honor, The Old Tom Morris Award. In 2001, he was named recipient of both the Donald Ross Award (American Society of Golf Course Architects) and the Donald Rossi Award (Golf Course Builders Association of America), and was honored with the International Network of Golf’s Achievement in Golf Course Design Award for 2000-2001. Jack has been involved in the design of close to 290 courses open for play worldwide, and his thriving business, Nicklaus Design, has over 370 courses open for play around the world. Nicklaus Design courses are represented in 36 countries, 39 states, and no fewer than 95 have hosted a combined total of over 650 professional tournaments or significant national amateur championships. Close to 70 Nicklaus Design courses have appeared in various national and international Top-100 lists. The firm currently has projects under construction or under development in 34 different countries—16 in which Nicklaus Design has never been involved. Since 1962, Jack has added the moniker of “businessman” to his lengthy résumé. 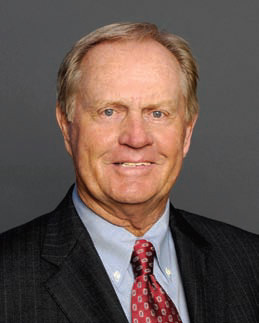 He is chairman of the privately held Nicklaus Companies. For a record six consecutive years (2004-09), Golf Inc. magazine ranked Jack “The Most Powerful Person in Golf,” due to his impact on various aspects of the industry through his course design work, marketing and licensing business, his ambassadorial role in promoting and growing the game worldwide, and his involvement on a national and global level with various charitable causes. He was also named “Golf Development Newsmaker of the Year” for 2005 by Golf Inc., and the Robb Report once named Jack the “Leading Power Player” in the golf market. Jack was also the “Global Ambassador,” along with women’s golf legend Annika Sorenstam, for golf’s unified campaign to gain inclusion into the Olympic Games, a goal realized Oct. 9, 2009, when the International Olympic Committee voted to add golf to the 2016 Olympic Program. Jack and his wife Barbara have a long history of involvement in numerous charitable activities, from junior golf to children’s hospitals to several scholarship foundations. Jack and Barbara are the guiding light for the Nicklaus Children’s Health Care Foundation, which supports numerous pediatric health-care services in South Florida, as well as nationally, and has raised over $23 million in just eight years. In October 2010, Jack and Barbara were inducted into the Ambassador David M. Walter International Pediatric Hall of Fame. On the golf side, Jack is a national chair of The First Tee program’s “More Than A Game” capital campaign. Because of their contributions to golf and to community, Barbara and Jack were honored twice in 2007—the first being The Boys Scouts of America Distinguished Citizens Award, and then the Francis Ouimet Lifelong Contributions to Golf Award, which drew close to 2,200 people to Boston to set a record for a sports function in New England.